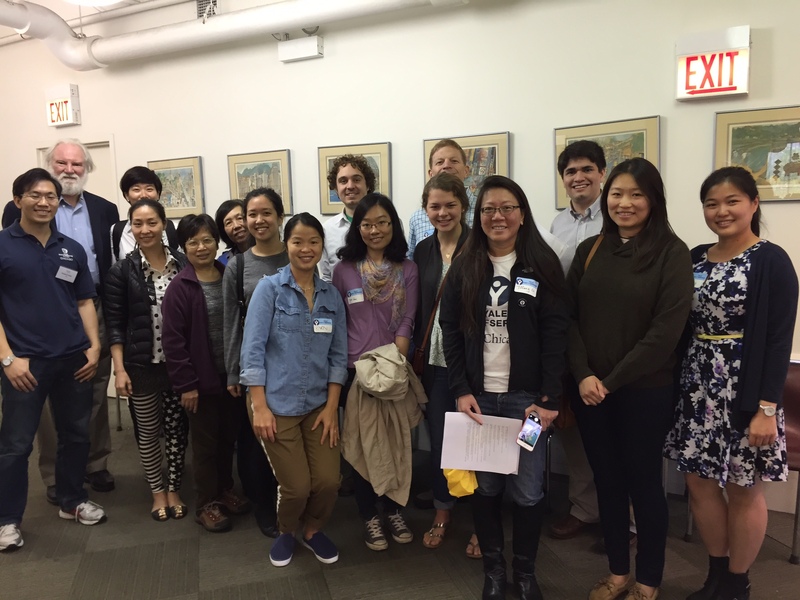 On May 10, 2015, AAAYA Chicago co-sponsored with the Yale Club of Chicago and organized a Yale Day of Service site with the Chinese American Service League to tutor for their “Cup of Tea” English as a Second Language program. With a focus on practical English, it helps immigrants build vocabulary for everyday situations and gain confidence in their English abilities. 13 volunteers attended and helped students practice their English through vocabulary review, exercises, and conversations in one on one exercises based on the provided lesson plan. Those wanting more information on the organization and how to participate with their activities can go to http://www.caslservice.org/volunteer/ to learn more. 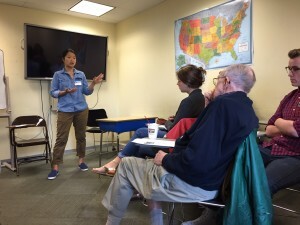 Thanks to all the volunteers who dedicated their Saturday morning to help tutor English!